This print is the literal visualisation of two couplets by the eighth-century Chinese poet Wang Zhangling. 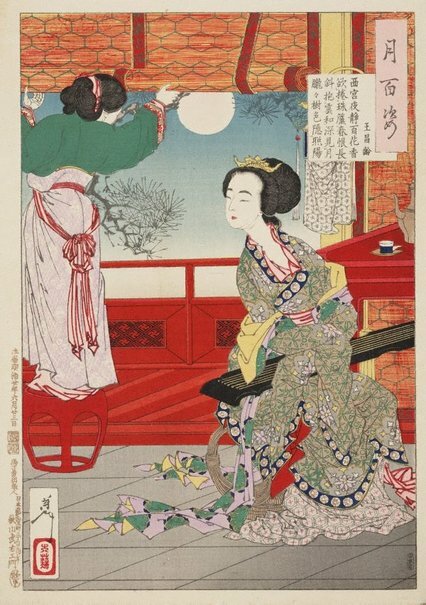 A noblewoman interrupted her play of the string instrument when she noticed the lovely spring night outside. The ‘yunhe’ mentioned in the title poem indicates the type of wood used to make the Chinese lute ('pipa'). Yoshitoshi, however, interpreted this as the 'qin', a seven-string zither.